Samsung went through the fire with its now-discontinued Galaxy Note 7 flagship, but it seems the company isn’t quite done with the handset. 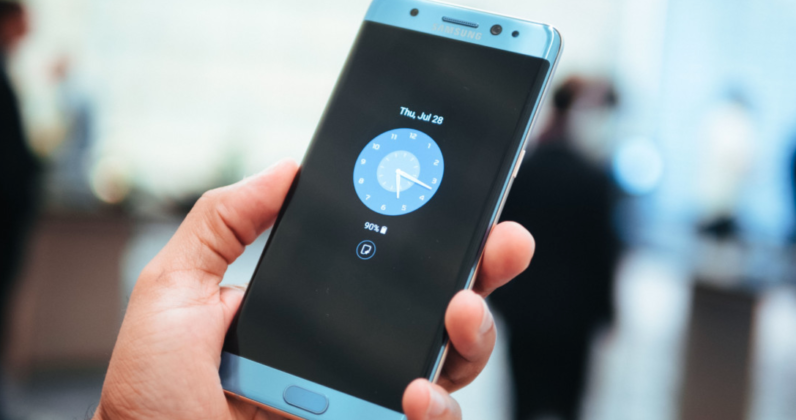 Samsung was initially rumored to be contemplating bringing the Note 7 back from the dead back in September – though chances seemed rather slim at that point. Speculation increased in February when the discontinued flagship was again slated to be making a comeback in India and Vietnam. Following a prolonged investigation, the electronics giant concluded the litany of explosions stemmed from two separate battery-related issues, which would explain why the company is comfortable with reusing other parts and components in the future. Reports from earlier this year suggested Samsung has managed to collect more than 96 percent of all Galaxy Note 7 handsets shipped worldwide. The company purportedly still has plans to remotely issue software updates to limit the battery life on all still-unreturned units. Samsung makes no mention when it will begin selling refurbished Note 7 phones, but chances are recycled units won’t make it to Europe and the US. Meanwhile, Samsung is expected to unveil its new Galaxy S8 flagship later this week on March 29.